You don't come across too many YA books set during Mesopotamia, 1759 BC - or set during any biblical times (or thereabout), really. Forbidden (book one) stood out to me back in 2014 because of the setting. I love historical fiction, but I'd never read a YA series set in this time period and location. I loved Forbidden and Banished, and the author did the series justice with Returned. Banished ended with Kadesh and Jayden's marriage ceremonies being interrupted, and their marriage contract being stolen. Kadesh is the King of Sariba, and he must strike quickly in order to stop Horeb from stealing his lands and his bride. Meanwhile, the High Priestess Aliyah has stolen something that Jayden wants back, and Aliyah is demanding power and the crown - and she wants Kadesh. A war on all fronts will put Sariba - and Kadesh and Jayden - to the test. I'll try to be as vague as possible with this review, as this is a conclusion novel. 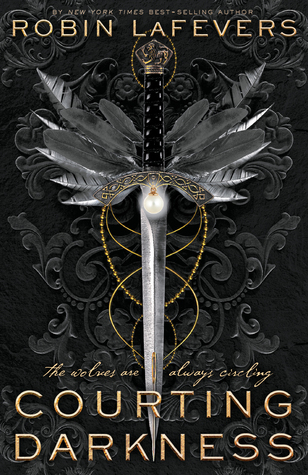 However, you may see light spoilers from Forbidden and Banished. This is a worthy conclusion novel, and it wraps up the series very well. There is a HEA! This book had more action than the other two (or so it seemed to me), which I loved. It was a lot of high-stakes action so I was constantly on the edge of my seat or biting my nails. Either Jayden was in danger, or Kadesh, or both of them separately, and there was a lot of other important things going on. Jayden kept going on dangerous excursions that drove Kadesh crazy, but I like that he never tried to stop her. Jayden's efforts definitely paid off. I adore Jayden - she has grown so much throughout the series. This book really shows her determination and her strength. She stands up for herself as a woman, but also as the (future) queen of Sariba. She hasn't married Kadesh yet so she isn't technically queen yet, but she holds herself like a queen and she also fights alongside her people and Kadesh. Jayden is still sweet and compassionate, but she has become a more assertive, brave woman with a stubborn streak. Kadesh, on the other hand, has a soft, understanding heart hidden behind a will of iron. He is a capable king and leader, despite all of the obstacles that lay before him and behind him. He thinks of his people and minimizing the effects of the war, and puts himself in last. He is a good strategist and a good man. He's much more than a love interest, as his role as king and commander of his armies is possibly the most important in this book, and in this series. This series may be told in Jayden's first-person POV, but Kadesh is equally as important as Jayden, throughout the series. As a pair, I love Kadesh and Jayden. This book doesn't focus on the romance but it is always obvious, how much they love each other. It is little things that make their love obvious. Their bond has grown so much strong over the trilogy, despite all impediments. The romance is barely there (i.e. there isn't a ton of on-page chemistry and I-love-yous and kisses), but it is an important part of the story. This book is action-packed and has a fast pace, so I was never bored. I almost read this book in one sitting, but unfortunately I had to go to bed to get up for work the next morning (aw man!). Given the chance, I would have read this book in one sitting. It's extremely engrossing, especially since the author piles the stakes higher and higher, from the beginning, on top of everything from the previous two books. Very good storytelling by the author! Speaking of action-packed, the body count is incredible in this book! So many deaths, both in terms of the war, and in terms of characters important to the plot. Some really key people died and I was shocked! All I will say is that Kadesh and Jayden get their happy ending - everyone else is fair game. You already know how much I love the setting. There aren't a ton of YA books set in ancient or biblical times, which is a shame. The author did a beautiful job with the world-building and the imagery and the setting. I thought she did her research well and made the culture and customs come to life. I know the author traveled extensively in the Middle East, and to me, it showed. Overall, this was a wonderful conclusion to the series. I've found that I struggle with YA trilogies for various reasons, and one of the reasons is the quality of the conclusion novel. More often than not, I don't like the conclusion novel. But this conclusion novel was excellent, and well worth the wait (the series in general, too). The only thing I really wanted to see more of was (you guessed it) the romance. I really wanted to see more kisses, more adorable scenes, more sensual scenes, you get the idea. I had a tough time finding a swoony scene that was more than one sentence long, for my weekly Swoon Thursday post. Maybe I wanted the romance to be more present - that would have been nice! I recommend this series to anyone who enjoys historical fiction. And desert fantasies, though this isn't really a fantasy novel. It is a desert-set fiction novel, which I loved. 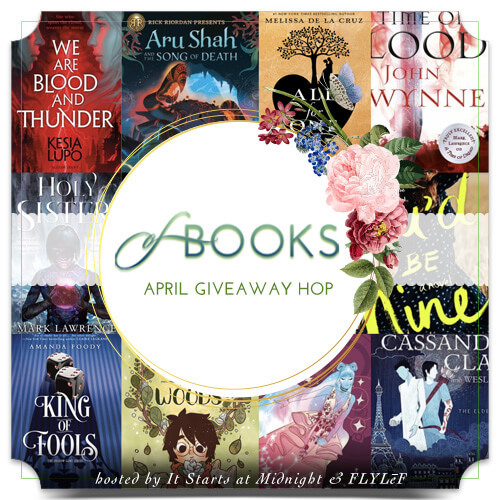 It is a YA novel but it is a great crossover novel (and series), for adults who like historical fiction (note the difference between historical fiction and historical romance though). If you read Forbidden, or Forbidden and Banished, keep going! This conclusion novel might be the best of the series (it's hard for me to pick a favorite!). 4 stars. I've really enjoyed this trilogy and I'm sad to be finished with it! But I'm also really happy with how everything played out, and with Kadesh and Jayden's happily-ever-after. I would love to read whatever YA fiction the author has planned (hopefully something)! If it is anything as intriguing and imaginative as this series, then I'm ready! I'm so glad this series as a whole concluded well, especially with the HEA you mentioned. I couldn't agree more, there really isn't too many/any YA reads set during this time frame and place. I've been collecting these books and just need the last one - and now I can't wait to read this series!! You make me want to read the second book right away! I got it a couple months ago and just haven't had the push to read it, but this makes me want to pick it up NOW. :D The fact that this might be the best in the series makes me really excited, and I kind of love that no one is safe from being killed off. Awesome review Alyssa! A solid conclusion to a great series - with the all-important HEA included - is fare too rare these days. I've read a lot of YA historical fiction and historical fantasy and I can't think of a single other series or book set in the same period as this one. I'm very intrigued by this series now! This is a really interesting setting. I haven't read any of this series but it does sound intersting. Great review! I am currently reading Forbidden, and have Banished to read next. 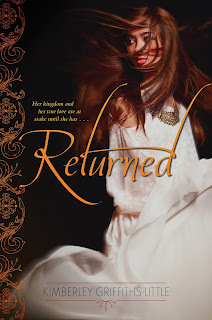 I want to read Returned! I have never read a book set that far back in time. I will need to check this out. I enjoy a good historical fiction book!! I love that the conclusion novel was fast paced!! Great review! By the way... if you wouldn't mind checking out my website, I'd appreciate it!